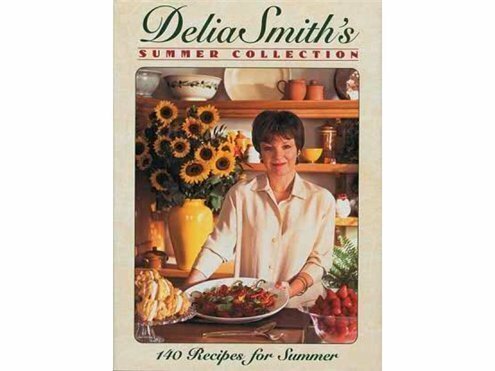 Delia Smith's Summer Collection (Hardcover) 1993 by Delia Smith... Color Photographs - 212 Pages ISBN: 0670861529 This modern classic is Delia's celebration of summer and all its glorious ingredients. It is a journey that takes us from the early asparagus, garden rhubarb and gooseberries of May through to the last runner beans pickled in August ready for winter. Delia draws on the subtle influences of Californian, Italian, Spanish, Greek and Oriental flavours to transform more familiar ingredients. Beautifully photo-graphed, this book distils the very essence of summer into a collection that brings the sun into the kitchen, whatever the weather. Used: Good Condition. Clean Dust Jacket. No inscriptions, tears or wear.